Send messages from PC w/o the reference "via mysms.com"
mysms Premium Features help you to simplify your daily texting. You will spend less time managing your messages and are always up-to-date. Never lose a message again. Simply install mysms on your new phone, login with your existing account and your texts will appear in a moment. Keep track of your incoming and outgoing calls on your computer and tablet. Get notified on calls on any device. Schedule to send SMS or MMS messages at any time in the future. Use it e.g. for birthday wishes or reminders. For those of you who own two smartphones, but want to keep track of all texts. Manage all your conversations with only one phone. Make your texts last forever by storing messages to Evernote, Dropbox and Google Drive or forwarding them to your email account. Export your beloved SMS in one single file. Have all your text messages right at hand and access them even when you are offline. Display specific messages or search your full message history on your computer and tablet without any time limits. Send unlimited ad-free messages on your computer. The reference "via mysms.com" won‘t be added to your texts. 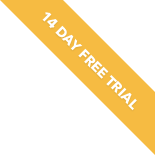 Premium users receive answers to requests within 24 hours on business days. We are here to help in any mysms-related matter.